We conservatives who have been upset over the lame duck Congress’s passage of the $1.1 trillion CROmnibus bill last month have had a bit of a reprieve over the past couple of weeks, as the new Republican-controlled Congress moves forward with a much more conservative agenda. 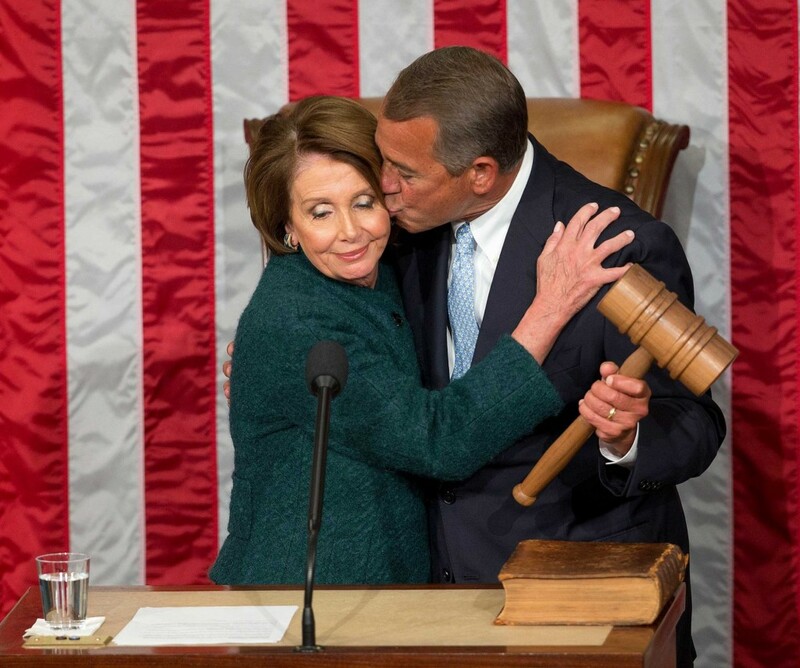 Personally, I was, and still am pissed off at the House leadership’s tactics in pushing the CROmnibus through. A spending bill that large doesn’t get written overnight, yet they held on to it until the very last minute, forcing Congress into crisis mode to facilitate the bill’s passage – a common tactic in Washington these days. While they made some important cuts to the IRS and EPA, they should have been much more forthright in explaining their long-term strategy to their constituents, instead of running on stopping Obamacare and the president’s executive amnesty, and then pushing a massive spending bill through at the last minute that did neither. To say that it was very poorly handled is putting it lightly, and many conservatives will not soon forget, or forgive, this betrayal. 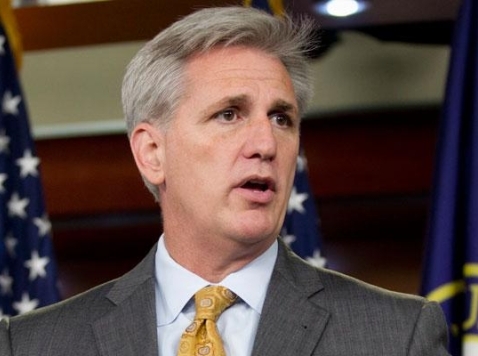 But in late December, as I was voicing my opposition to the CROmnibus, and specifically expressing my disappointment in Majority Leader Kevin McCarthy, in whose district I happen to live, Congressman McCarthy gave me a call. It took me quite by surprise, as I’ve only met Kevin a couple of times, but I was grateful for the opportunity to discuss my concerns with him directly, and to hear his perspective. To his credit, the Republican Congress is moving on the exact agenda that Congressman McCarthy told me they would be working on. They have introduced a change to Obamacare, to change the definition of “full time” from 30 hours per week to 40 hours, thus providing some relief to the tremendous burden that the Employer Mandate is becoming for businesses across the United States…and despite the fear-mongering by Democrats, it would help many US workers, as well. Democrats argue that under the GOP measure, many workers would only get 39 hours per week, so that employers could get out of the employer mandate. But for most workers, 39 hours would be preferable to 29 – that can be the difference between working 1 job, and having to take on a second job. It isn’t the victory that many conservatives want – the elimination of Obamacare – but it will be a big help for businesses across America as conservatives work toward the larger goal of completely eliminating Obamacare. They voted to approve the Keystone Pipeline, which President Obama has refused to approve or deny for years now. Now, Congress has given its approval, and if the Senate follows suit, then President Obama will have to take a stand. Thus far during his presidency, Obama has used his veto pen only twice. That’s only 2 times in 6 years. Now that he doesn’t have Harry Reid running interference for him, we’ll begin to see just who the “do nothing” party really is. The big question now is whether Mitch McConnell can get 60 votes to push the bill through the Senate – and while Boehner has been untrustworthy, McConnell has been outright hostile to conservatives. With his strong anti-Tea Party bent, chances are he isn’t highly motivated (or motivated at all) to push for an end to any amnesty. It’s been odd the past several days, hearing GOP leadership standing up in the House to defend the Constitution – something they seemed much less willing to do before the new Congress was sworn in. As one of many Americans with an innate distrust for politicians, it gives me the distinct impression that conservatives are being pandered to. I hope I’m wrong, but money talks louder than anything else in Washington these days. The immediate retribution against those who voted against John Boehner in the vote for Speaker was just a bit too politics-as-usual, and with all of the conservative-bashing going on in the Republican leadership over the past couple of years, it’s going to take some convincing to get anyone to believe that their sudden re-emergence as Constitutional conservatives is genuine. But for now, we’ll take what we can get.